Learning how to make a sweet dough recipe is something every cook needs to do. So many different recipes can be made from a basic recipe. Large batches can be made, divided into small portions and kept in the freezer for convenience. By rolling the dough out in different sizes, shaping differently and adding various fillings you can produce baked goods which appear totally different. No matter how you shape it or what the filling is, everything made from this dough is absolutely delicious. Most countries have learned how to make a sweet dough recipe of their own version but have very similar ingredients. Here in the United States we use all the recipes brought to this country. Some of these recipes are made with leavening like baking powder, but I love the ones made with yeast. 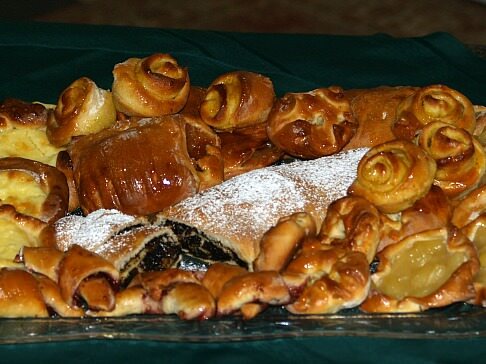 These pastries are very popular in most countries at holiday time. In Hungary this dough is used to make hamentachen, kipelach, kuchen and cheese delcalech recipes which are all very good. In Germany you will find many recipes using sweet dough for kuchen, coffee cakes and a large variety of fried donuts. As you can see every country has a recipe, but of all the countries and their recipes the most famous all over the world is the way the Danish learned how to make a sweet dough recipe. These Danish pastries are well known for the light flakiness after baking. The Danish recipes are about the same as from other countries. So what is the difference? It must be in the rolling. The dough is chilled and rolled. It is then buttered; the dough is folded over, and then rolled again. After chilling again, it is rolled out, buttered, folded and chilled. You get the message? 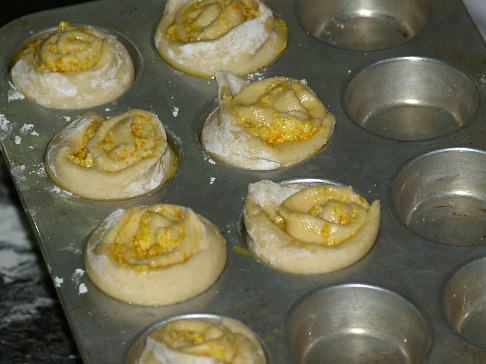 This is a process of rolling which the Danes use; see why their pastries are so delicious? This sweet dough recipe is turned into many Danish pastries. The pastries are cut into many shapes and sizes; sometimes they are simply topped with sugar, frosting or chocolate. Other times you will see the pastries stuffed with jams or custards. Other popular fillings are nuts, dried fruits or toffees. Whatever your choice I will guarantee you will not be disappointed with the delicious flaky taste of these Danish pastries. One simple and easy recipe that I like is for orange rolls made from a sweet dough recipe; I don’t know where this originated but these rolls are very good. Combs: Cut dough into 5 inch squares, filling in center, brush edges with egg wash, fold dough over and pinch to seal, cut slits along 1 side. Danish: Cut dough into 5 inch squares, filling in center, brush edges with egg wash, pinch edges up to make a round rim OR using 5 inch squares, fold 2 opposite corners in over filling. Rings: Cut dough 3 X 5 inch rectangles, brush edges with egg wash, spread filling over half missing wash, fold dough in half, cut small slit in center, fold dough through slit making a doughnut shape. 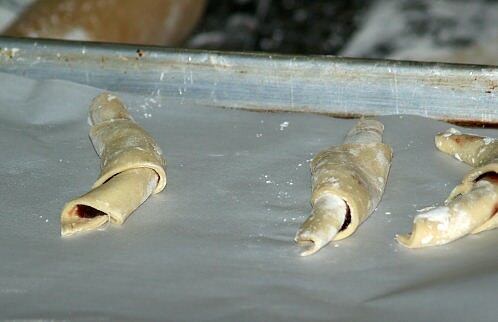 Crescent: Cut dough in triangles, spread with jam, roll up tightly, bend corners in to form crescent. Pinwheel rolls: Roll dough about 6 X 12 inches ¼ inch thickness, spread with filling, from long side, roll up like jelly, slice about 1 inch thick, place in buttered regular size cupcake tin cut side down. Love letters (not pictured): Cut 5 inch squares, filling in center, fold to opposite corners in over filling, then fold other 2 corners in slightly to shape like an envelope. 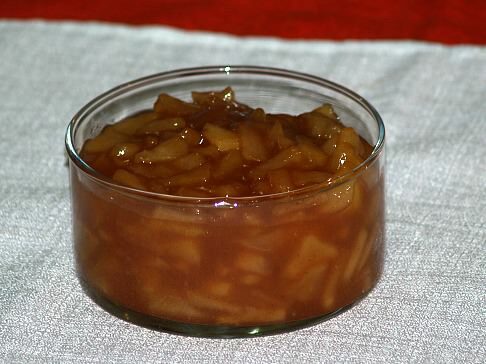 Apple: Cook 4 peeled cored sliced apples, ¼ cup water, 1 tablespoon lemon juice, ½ teaspoon cinnamon; stir in 2 tablespoons cornstarch mixed with ¼ cup water until thickened. 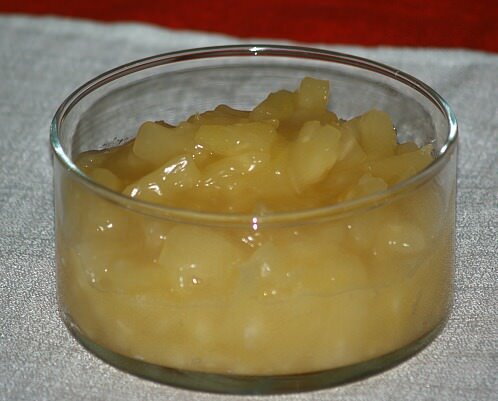 Pineapple: 1 can drained crushed pineapple, 2 tablespoons cornstarch, ½ cup pineapple juice; stir until thickened. 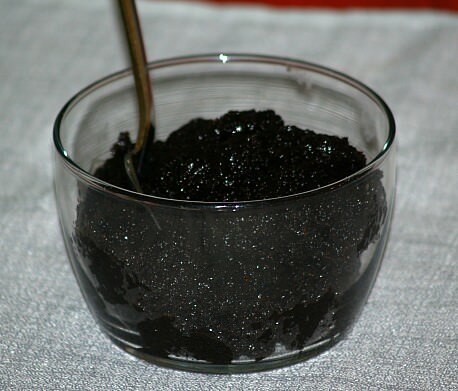 Poppy seed: Combine 2 ½ cups ground poppy seeds, 1 cup sugar, ½ cup raisins, 2 teaspoons grated lemon peel; mix well. NOTE: I like poppy seed filling but I do not like the filling which you purchase in cans at the grocery store. 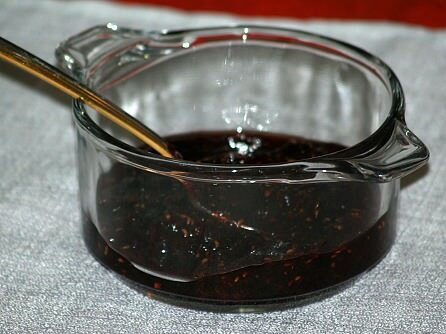 Jam Filling: 1 Jar 10 or 12 ounces jam. 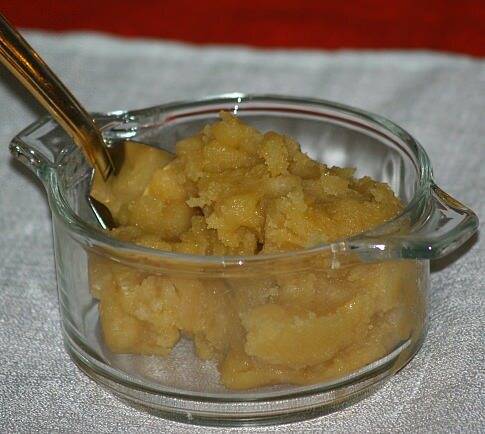 Almond: Combine 1 can (8 ounces) almond paste with 1 egg yolk. Cream cheese: Combine with mixer 8 ounces softened cream cheese, ½ cup powdered sugar, 1 egg yolk and 1 teaspoon grated lemon peel. OPTION: Stir in ¼ cup dried currants. 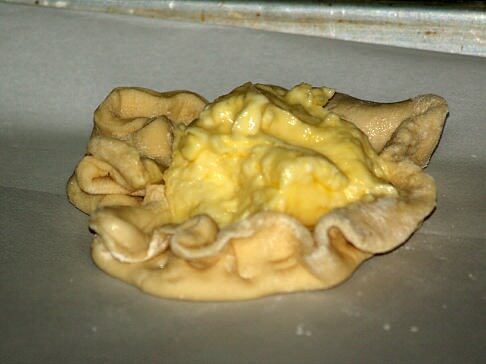 NOTE: To get a lighter flakier pastry, let pastries on tray set in a warm place about 30 minutes before baking; if cold dough, let set about 45 minutes. 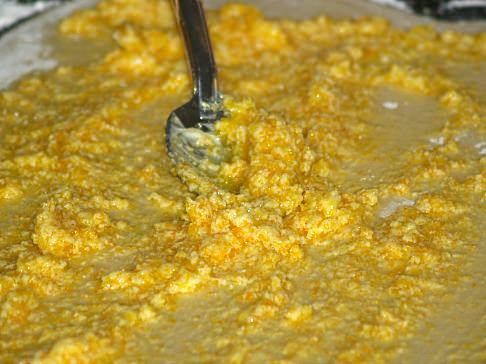 Make a thick spread with powdered sugar, melted butter, a little orange juice and grated orange peel. Roll sweet dough about ½ inch thick, spread with this filling and then roll up dough lengthwise jelly roll fashion. Cut in 1 inch sections and let rise in greased cupcake tins. Bake at 350F degrees for about 20 minutes or until done. Combine sugar, salt, cardamom, yeast and 1 ½ cups flour in a large bowl. Heat milk over low heat until very warm (120F to 130F degrees). With mixer on low speed beat liquid into dry ingredients just until blended; beat in the egg. Increase mixer to medium speed and beat a couple more minutes. Beat in another ½ cup flour; stir in enough flour to make a soft dough. Turn dough out onto a floured surface and knead until smooth and elastic; add more flour if needed. Shape dough into a ball; cover and let set 30 minutes. Place butter in refrigerator to chill. Roll dough out on floured surface into 18 X 9 inch rectangle. 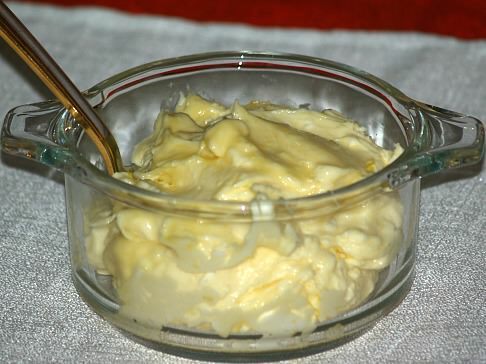 Remove top sheet of wax paper from butter; invert butter over 2/3 of dough leaving ½ inch margin on three sides. Remove other sheet of wax paper; fold unbuttered 1/3 of dough over middle 1/3 to make 9 X 6 inch rectangle. With rolling pin press dough together around edges to seal in butter. Roll dough to an 18 X 9 inch rectangle; fold dough crosswise to make 9 X 6 inch rectangle. Wrap and chill for 30 minutes; roll, fold and chill two more times. Cut dough into quarters; work with 1 piece at a time keeping other pieces chilled. Roll dough to a 12 X 8 rectangle; cut into 6 four inch squares. Beat 1 egg with 1 tablespoon water and brush over squares; place squares on ungreased cookie sheet. Place 1 tablespoon filling in center of each square. Bring one corner of square over the filling then the other corner to shape foldovers. To make envelopes bring all four corners to center to enclose filling. Bake at 350 F degrees for about 20 minutes or until light brown. Scald milk and stir in sugar, salt and butter; cool to lukewarm. Measure warm water into a large bowl; sprinkle in yeast and stir until dissolved. Stir in lukewarm milk mixture, beaten eggs and half of the flour; beat until smooth. Stir in remaining flour to make slightly stiff dough; turn dough out on lightly floured surface. Knead dough until smooth and elastic; place dough in a greased bowl turning to grease top. Cover and let rise in warm place until double in bulk about 1 hour. Punch dough down, roll out of floured surface; cut and shape as desired. Set in warm place about 30 minutes. Bake 350 degrees the TIME DEPENDS ON SHAPE AND FILLING. Bake to golden brown. Measure warm water into large bowl; sprinkle in yeast stirring until dissolved. Stir in lukewarm milk mixture, egg and half the flour; beat until smooth. Stir in remaining flour to make fairly stiff batter. Cover tightly with plastic wrap and refrigerate for at least 2 hours; shape as desired. Set in warm place about 45 minutes. Bake at 350 degrees TIME DEPENDS ON SHAPE AND FILLING; bake until lightly brown. This recipe is made from any yeast sweet dough recipe. Roll out ½ of dough recipe on floured surface to 9 X 18 inch rectangle. Combine dates, raisins, ½ cup chopped nuts, 3 tablespoons sugar and lemon rind. Sprinkle half of the filling over the rectangle dough. Fold outside third of dough over center third; fold again to make a three layer strip 18 inches long. Pinch dough to seal edges; cut strip dividing into 9 two inch sections. On one of the open sides make 4 (1/4 inch) cuts on each section; place on greased baking sheets. 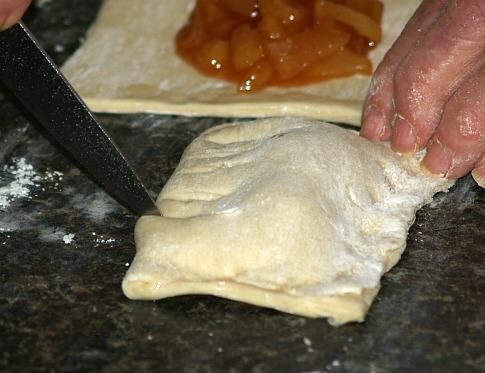 Make into bear claws by separating the five cut sections; repeat with remaining dough. Combine egg yolk and water to brush rolls; sprinkle with remaining chopped nuts and 2 tablespoons sugar. Let rise uncovered in warm place about 1 hour or until double in bulk. Bake 350 degrees for 20 to 25 minutes or until brown. As with most sweet dough recipes you can use different types of fillings. Dissolve yeast in warm milk; let set for 5 minutes. Add butter, sugar, salt and sour cream; beat in 3 cups of flour. Turn dough out onto a lightly floured surface; knead in enough flour to make a soft smooth workable dough. NOTE: If dough gets too dry it will be tough. Cover and let rise in a warm place until doubled in bulk. 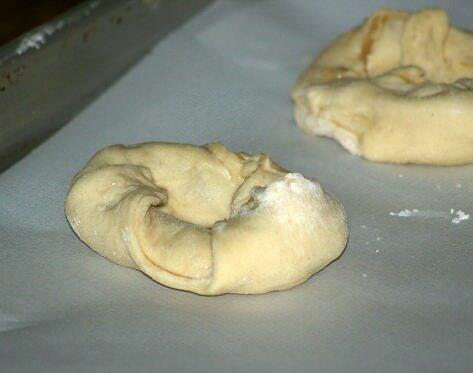 Roll the Hungarian sweet dough recipe ½ to ¾ inch thick; spread with a desired filling (see list above). NOTE: Leave clear 1 inch on sides and 2 to 3 inches on bottom. Roll up jelly roll fashion; place seam side down on greased baking sheet; pinch ends to seal.